Calvary Church, Lakewood [Jordan Branch] Please pray for two events we are holding in the community for unchurched families: 1) Soccer Nights, June 5-8 Art in The Park, June 26-29. Pray that the unchurched families will attend and that bridges of relational trust will be built between them and our church. Pray our people will be eager to engage these families, inviting them to worship and additional community opportunities within our church. Pray for opportunities and boldness to share the gospel with them in conversation. Pray for decisions for faith in Christ to be made. Pray for those serving in the event, for blessing on the teams coming and for all the logistics and time involved in planning and executing these events. Pray for health for the volunteers and for their growth in the Lord through this event. Pray for good weather and clear skies those eight nights we hold the events. The Element Church, Aurora [Adam Young] Pray for their special outdoor worship experience in Homestead Park at 10:00AM. Following the family worship service, they will have a block party will have hamburgers, hot dogs, a bounce house for the kids, and yard games. Pray for our summer missionaries this summer: 4 summer missionary interns serving church planters in Northern Colorado, Longs Peak Assocciation from Go Now, Texas. And 8 GenSend missionaries serving in the city of Denver and working with city church planters! Pinewood Church, Boulder [Parker Manuel] Pray for them as they get settled in Boulder as a family of six and as they have favor in developing relationships and beginning the work in the north part of the community. Iglesia Gracia y Verdad, Colorado Springs [Jonathan Ferre] Had over 100 people at Easter outreach as they connect with the Hispanic people in their neighborhood. Please help us to pray, on Sundays we want two Sunday school groups by age, we are organizing for this, so that the kids can learn the Gospel more effectively. We also ask your prayers for the mission teams that are coming this summer. Pray for our first Sports Camp this next week. And last, pray for the discipleship group and the raising up of leaders for IGV. 5280 Church, Denver [Rick Ackerman] Please pray for the move to a new location this summer since the school they meet in is closed for repairs again. Pray for the outreaches this summer in our neighborhood to help connect with lost people. Pray for fruit from our laborers. They have several to baptize this coming Sunday. Currently they have 160 kids signed up for their four camps of outreach this summer. Pray for Chris and Libby Phillips, Journey Pointe Fellowship, Denver as they move to Arvada to serve as apprentices with Storyline Fellowship, Arvada in June from Memphis, Tennessee. 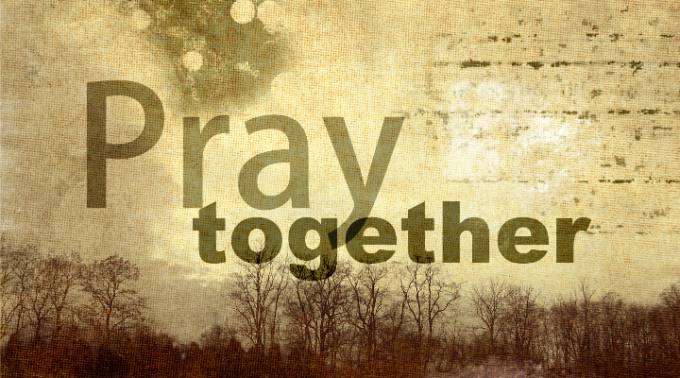 Pray for the 6 families that have already decided to join us in Denver and need prayer for jobs and housing, etc. Grandview Church [Bruce Hendrich] Thankful for answered to prayer for a worship leader, Devin & Dianna Goins) coming from Barton, FBC in Alabama arriving this week. Pray for them in their transition. Pray also for the Kids Adventure Camp, June 19-21 in Mead’s Founder Park.